What’s the definition of synthpop? Well, it’s pop music that uses synthesizers. 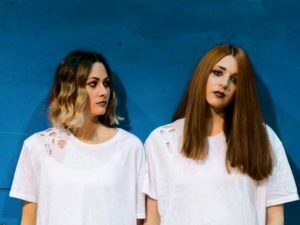 Whether it’s THE HUMAN LEAGUE or CHVRCHES, for generations over 30 years apart, these two acts’ interpretations of synthpop have been an entry point for many into the world of electronic music. People seem to forget that very few actually get into THROBBING GRISTLE on first listen! One new act embracing the sound of both THE HUMAN LEAGUE and CHVRCHES are the Leeds-based duo PARK FIRES. Comprising of Rachel Lissenburg and Emma Duffy, their second single ‘Watch Me Go’ released at the start of 2017 was both accessible and aesthetically inventive, adopting CHVRCHES’ ethos by producing a song that could have easily come from the pen of Taylor Swift. 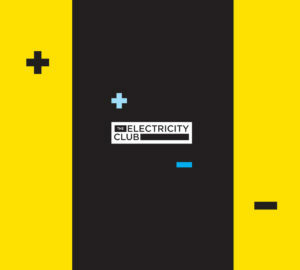 With its percussive barrages and sweeps of sparkling synths, some might call it synthwave but The Electricity Club will keep it simple and call it synthpop. Presenting ‘Watch Me Go’ with a classic synth-laden framework for that avant pop edge which allowed THE HUMAN LEAGUE to appeal to tech geeks and hairdressers alike, those who enjoyed the small but enjoyable catalogues of TECHNIQUE and PEACH are likely to appreciate PARK FIRES. 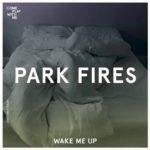 PARK FIRES have had an interesting journey to date since their bittersweet debut single ‘Home’ , having been part of indie trio AGAINST HABIT and experienced the joys of now jettisoned band management. Now wholly independent, Lissenburg and Emma Duffy have attracted BBC local radio airplay and have just had a brand new single ‘Wake Me Up’ released by local label Come Play With Me. 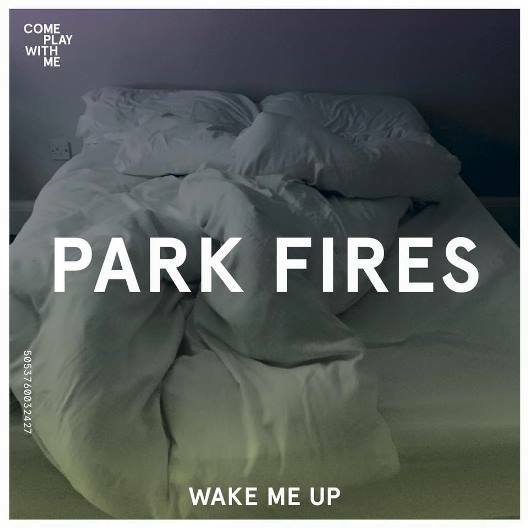 Utilising a 6/8 swing and dealing with the difficult issue of futile unrequited love, ‘Wake Me Up’ offers a darker trip-hop influence but with a wonderfully soulful chorus and sparkling synth runs to offset that mood. So far releasing at a rate of one single per year, creative momentum is now increasing in the PARK FIRES camp with further live dates on the way and an EP expected later in 2018.